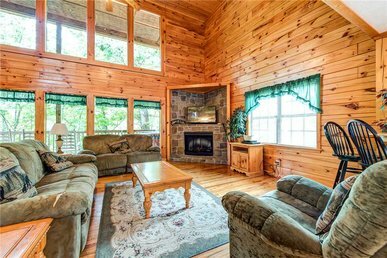 The spacious Great Room has a sitting area complete with a full size sleeper sofa, a love seat, and two armchairs. 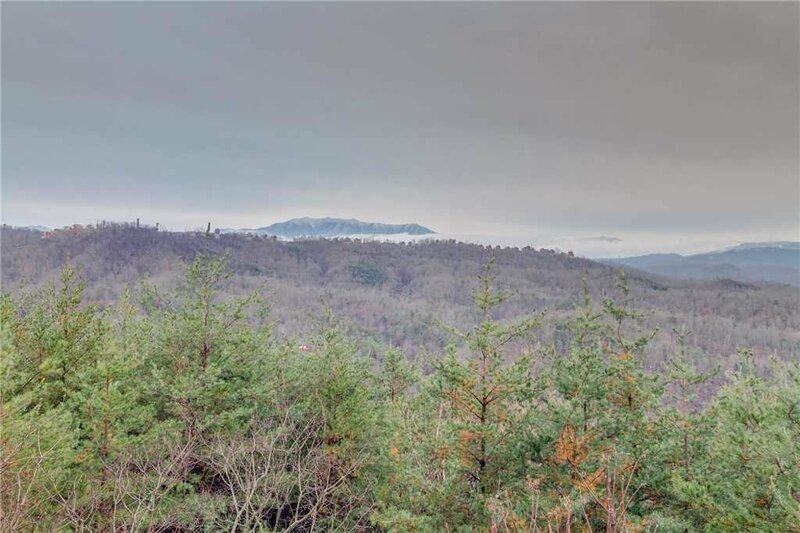 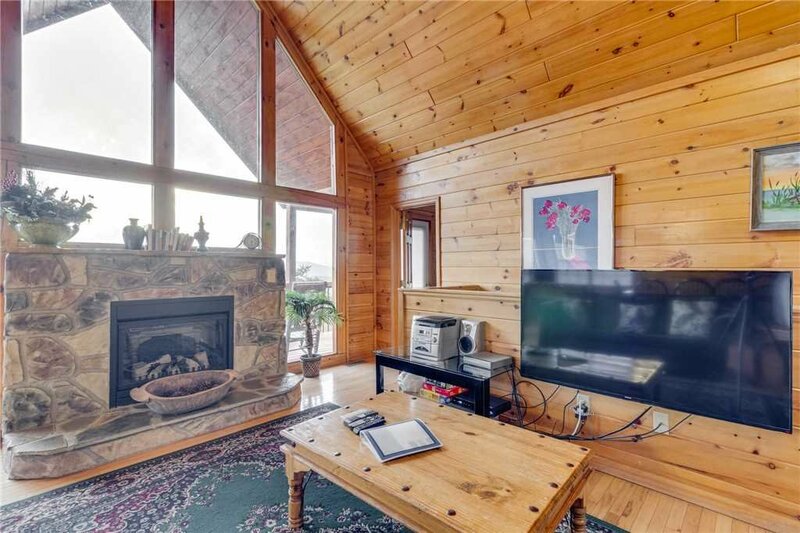 The whole family will be entertained with a state of the art 52 inch HDTV, DVD/VCR and a cozy electric fireplace. 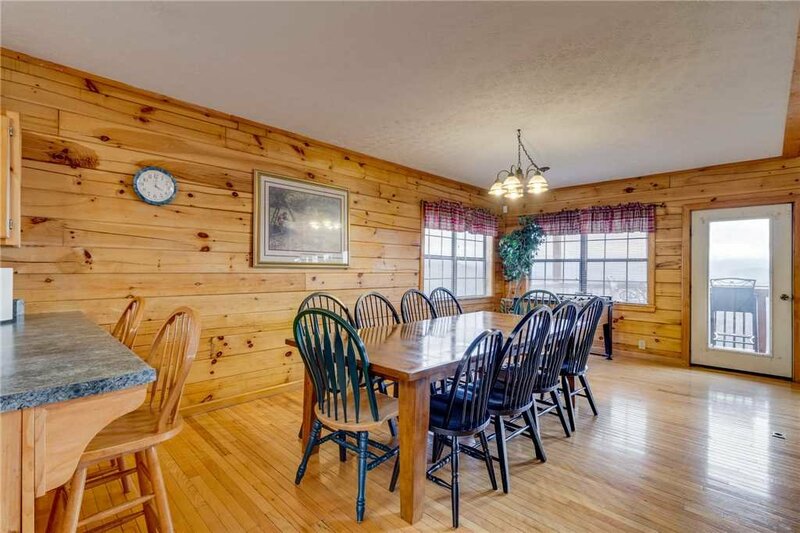 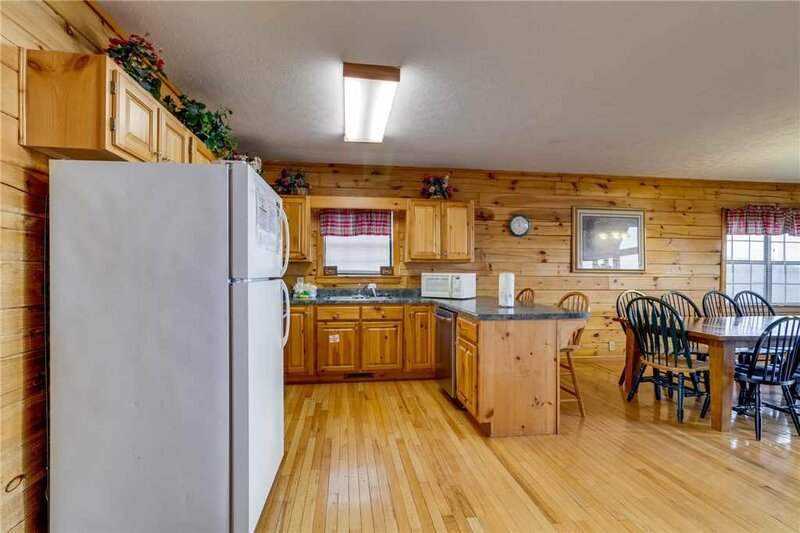 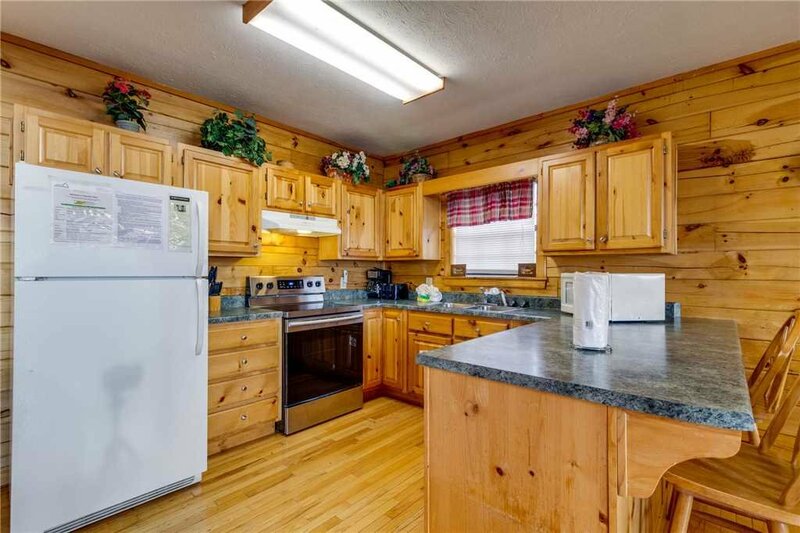 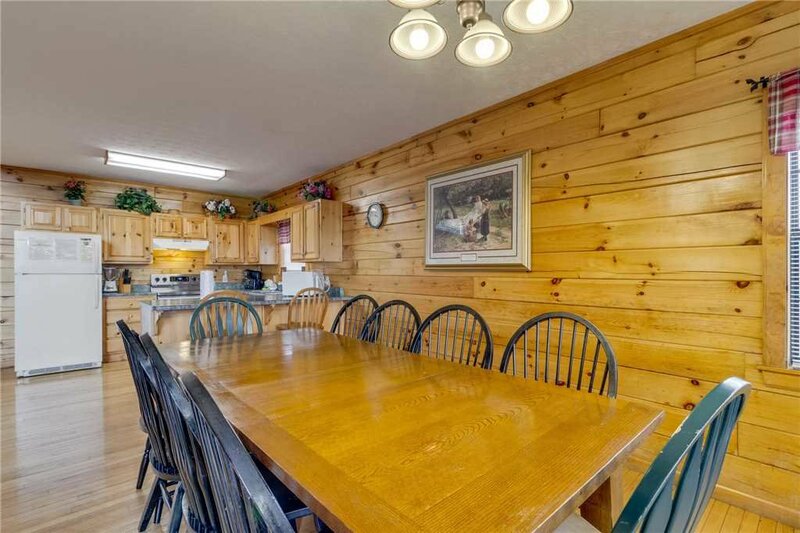 The fully equipped kitchen provides everything you will need to make that special family meal, with seating to accommodate 10 and a patio table for another 4 people out on the deck. 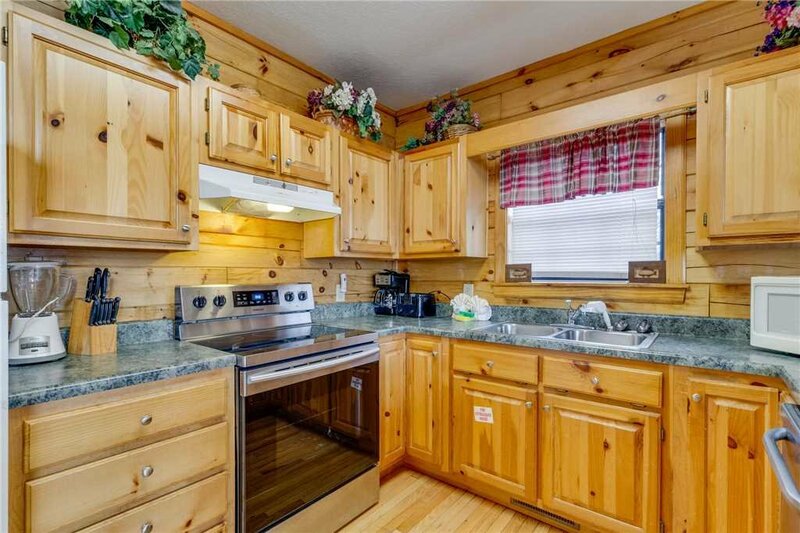 There is also a charcoal grill. 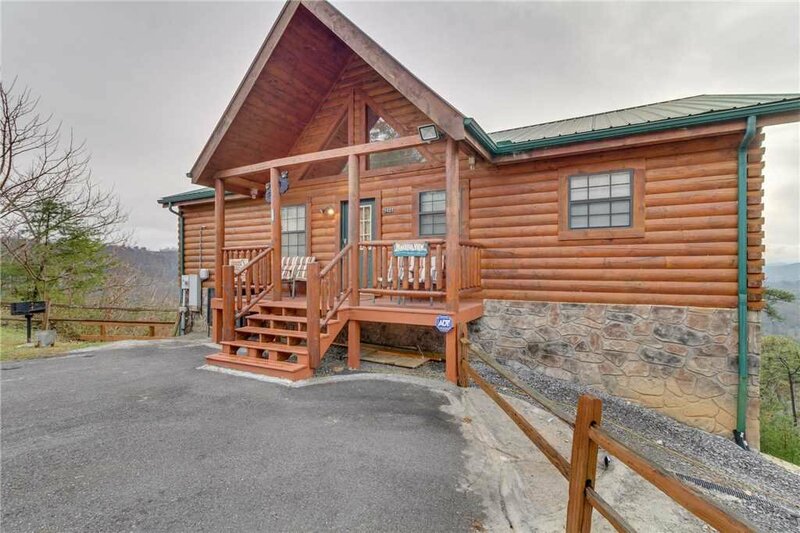 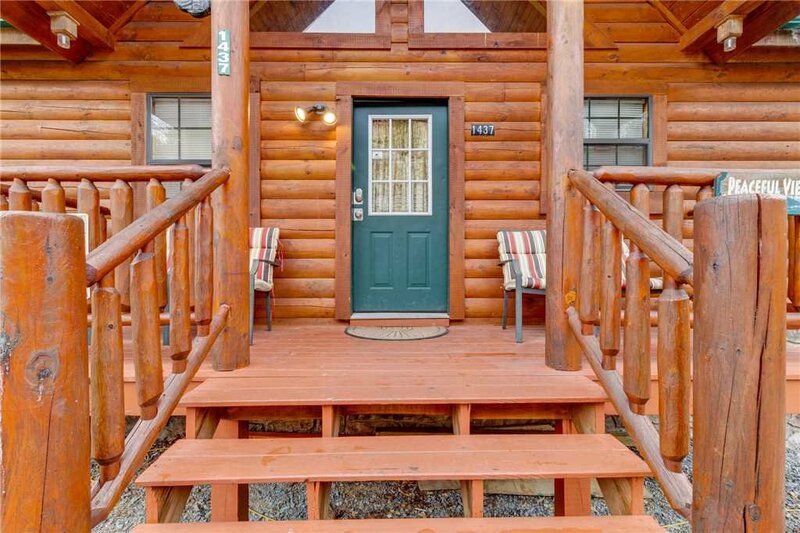 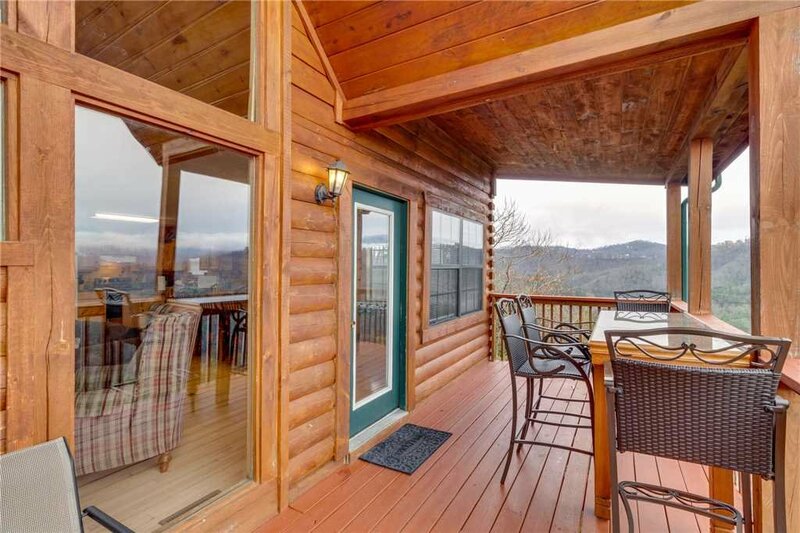 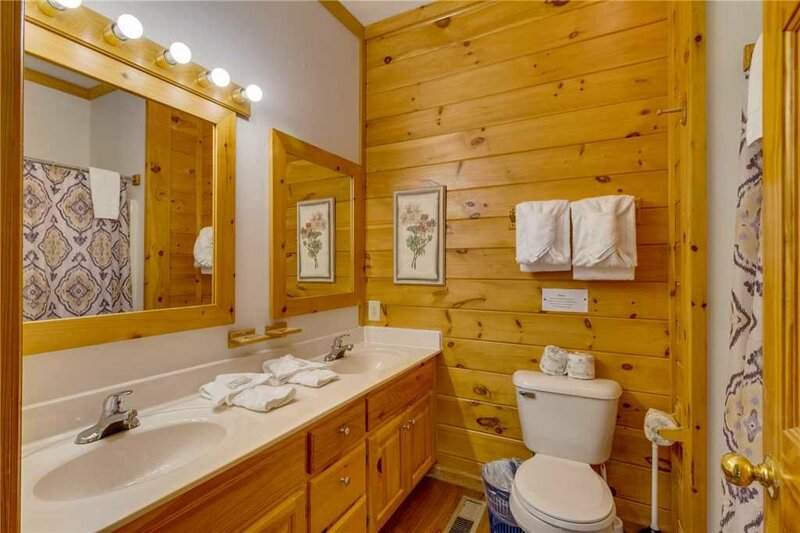 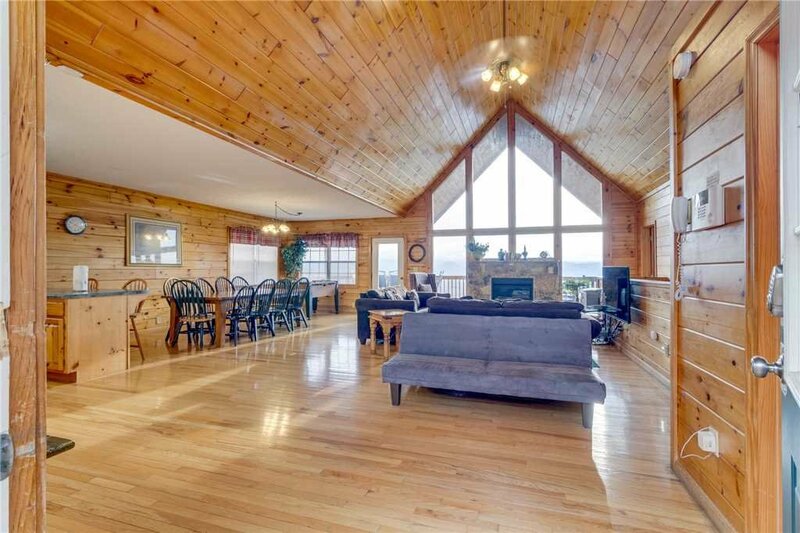 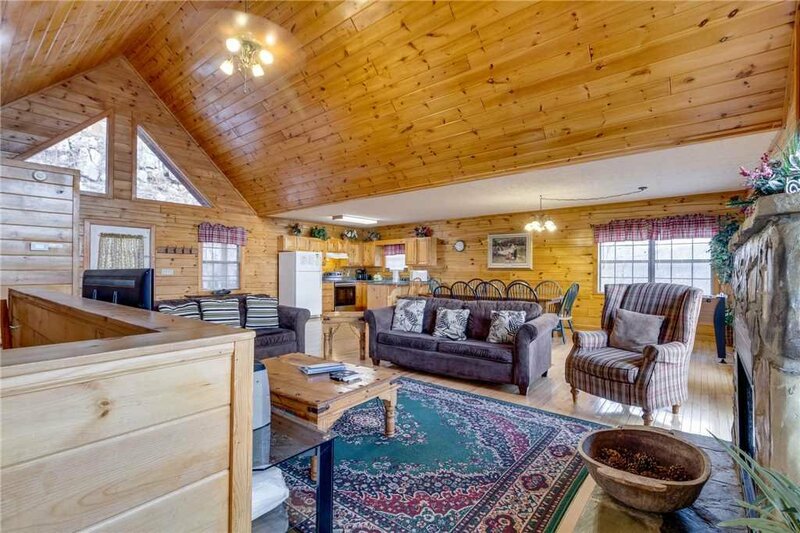 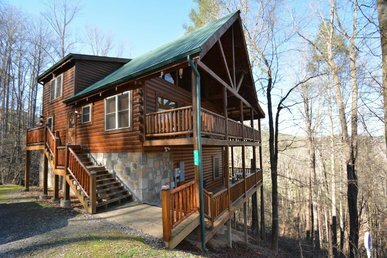 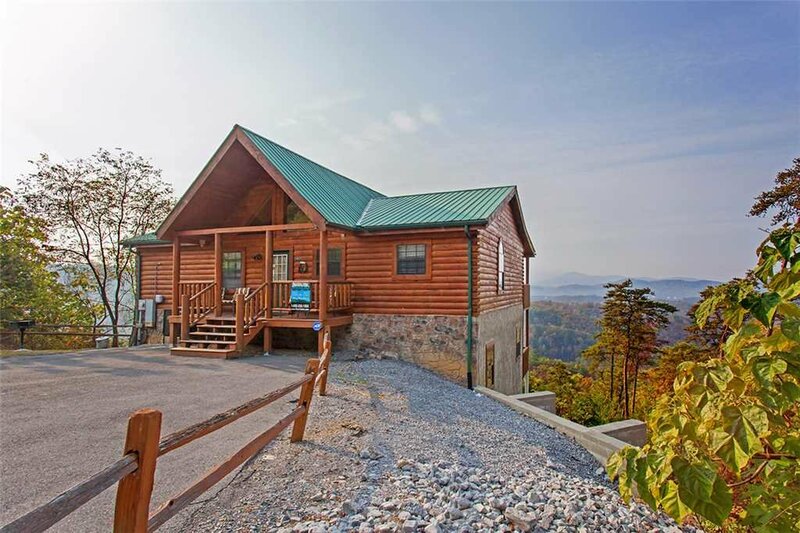 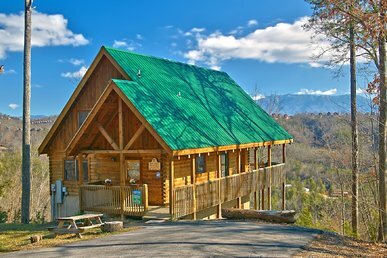 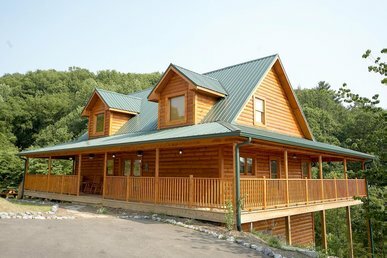 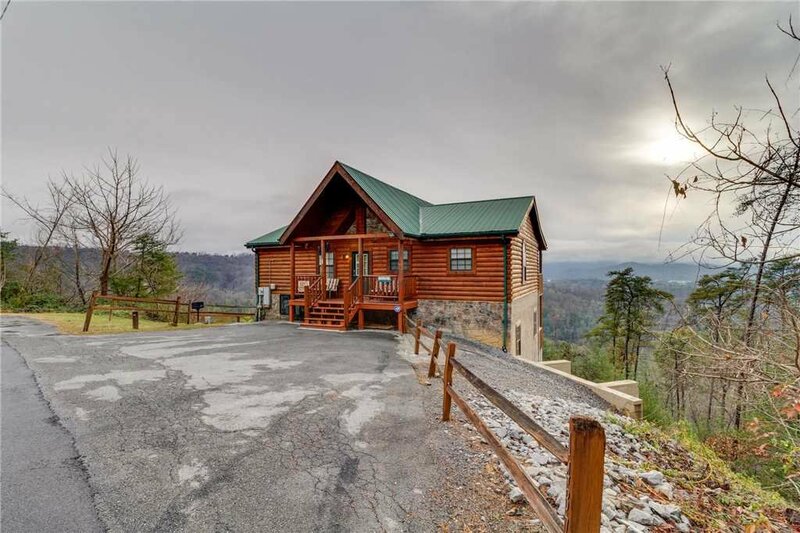 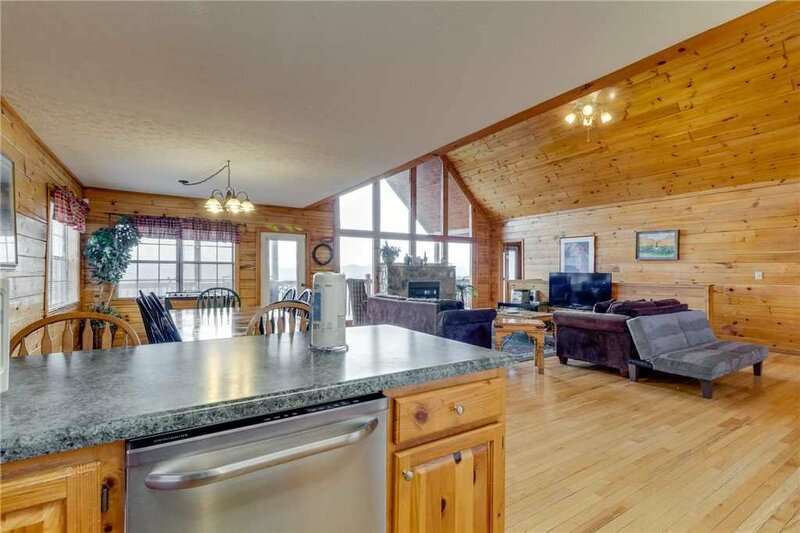 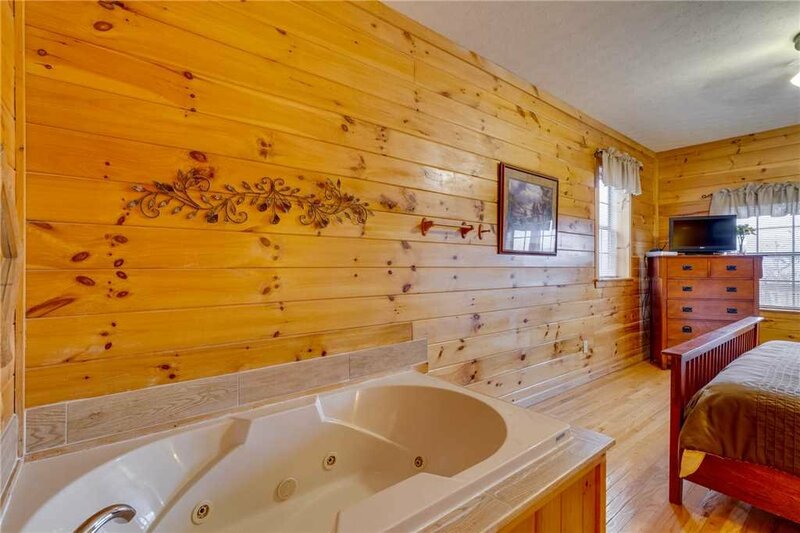 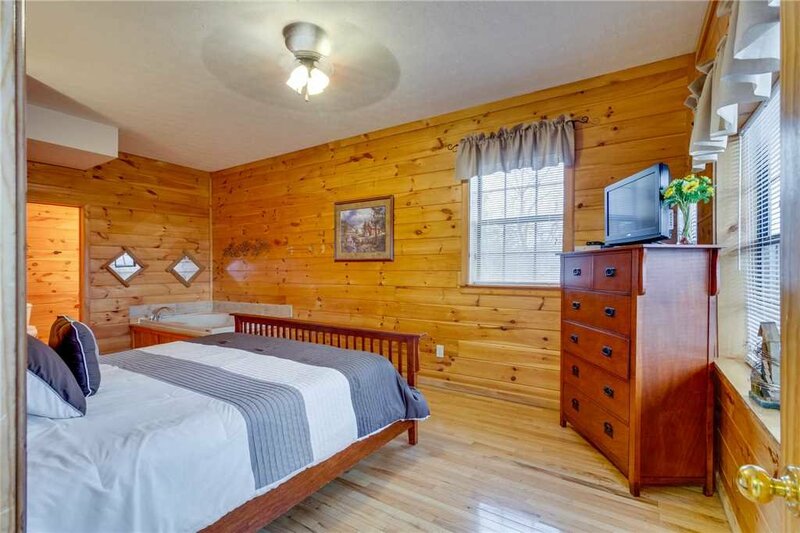 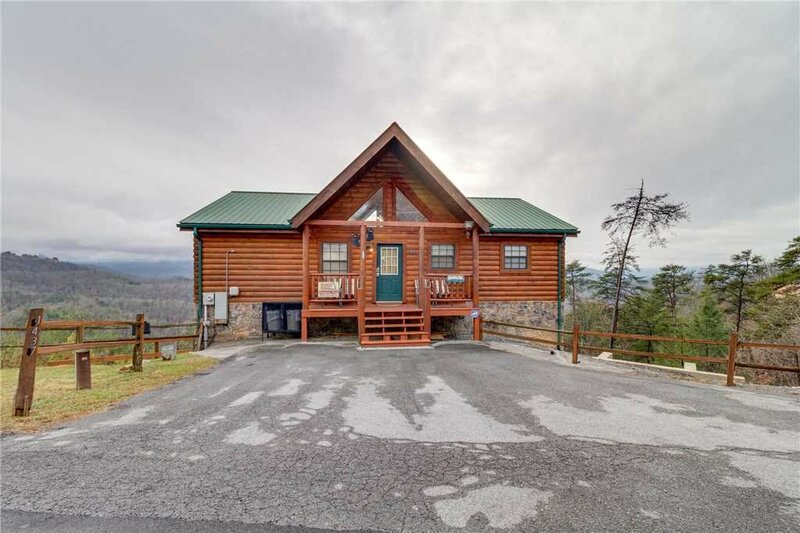 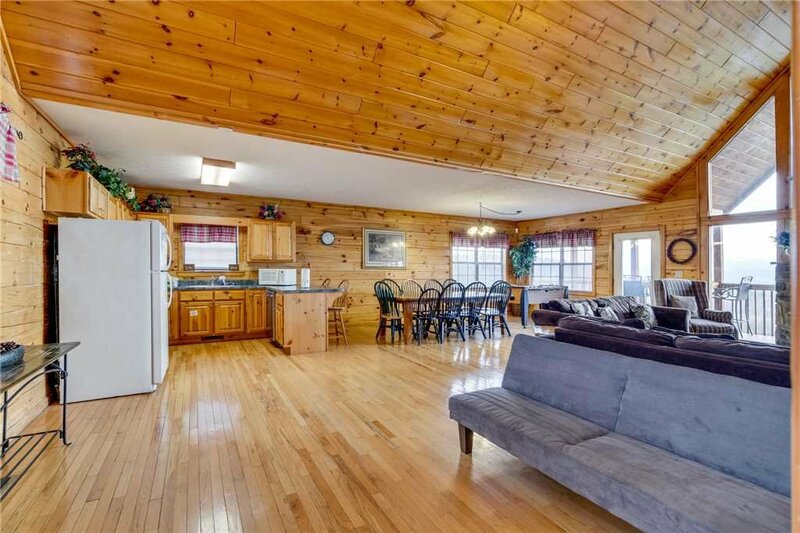 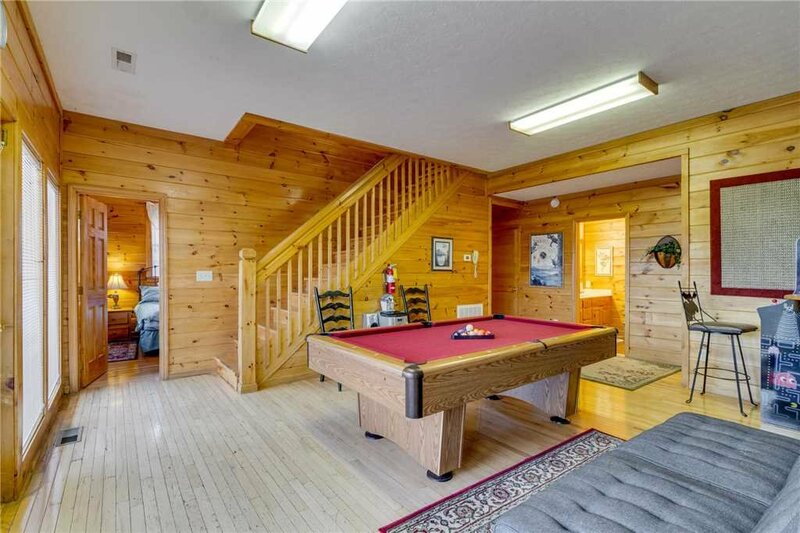 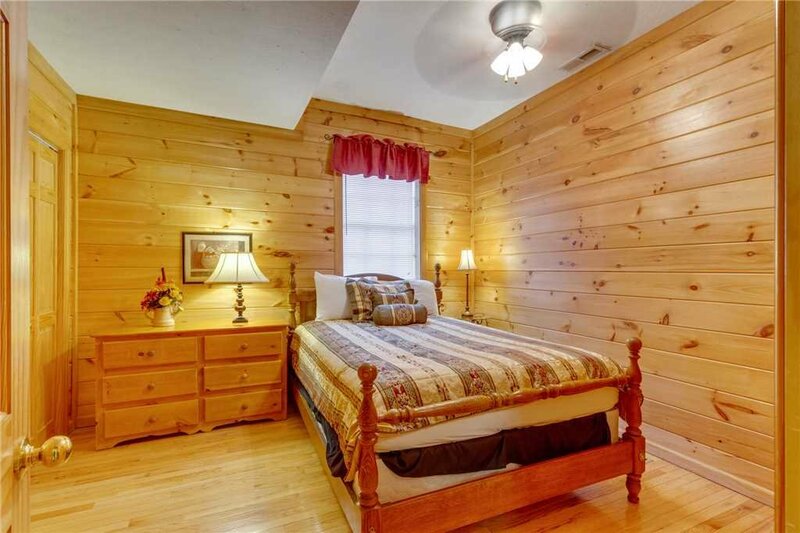 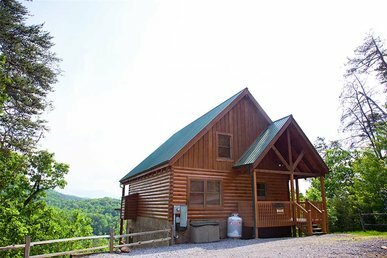 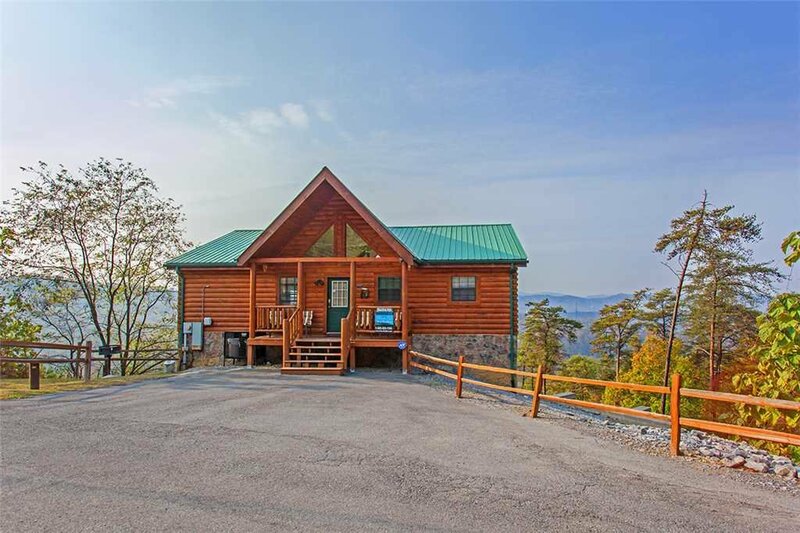 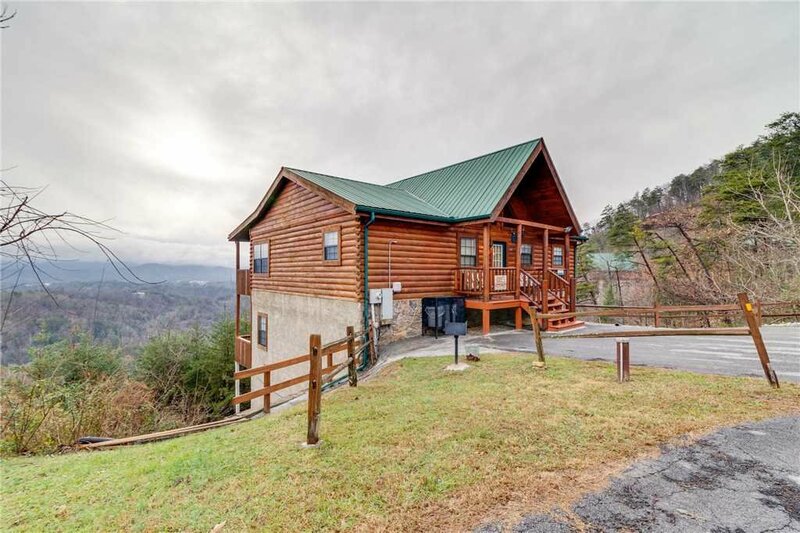 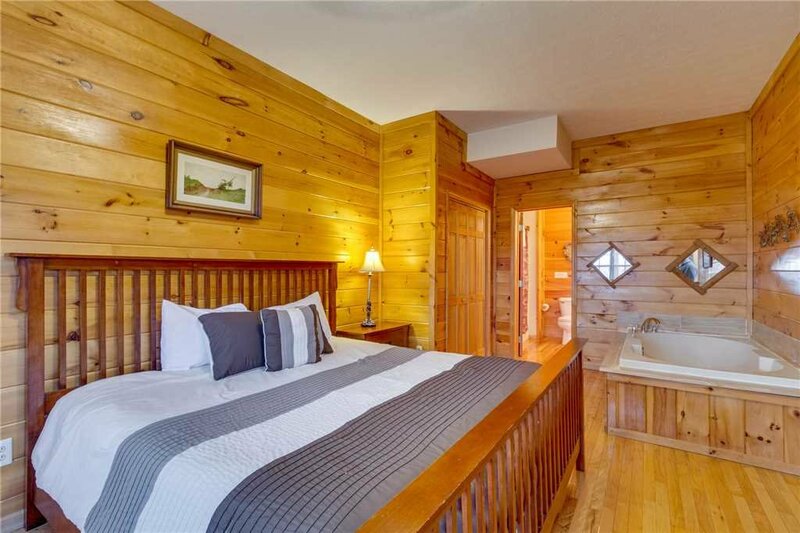 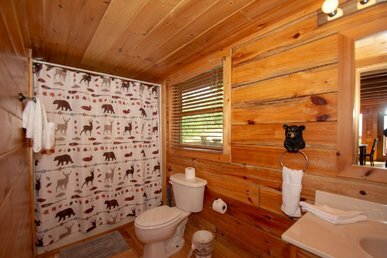 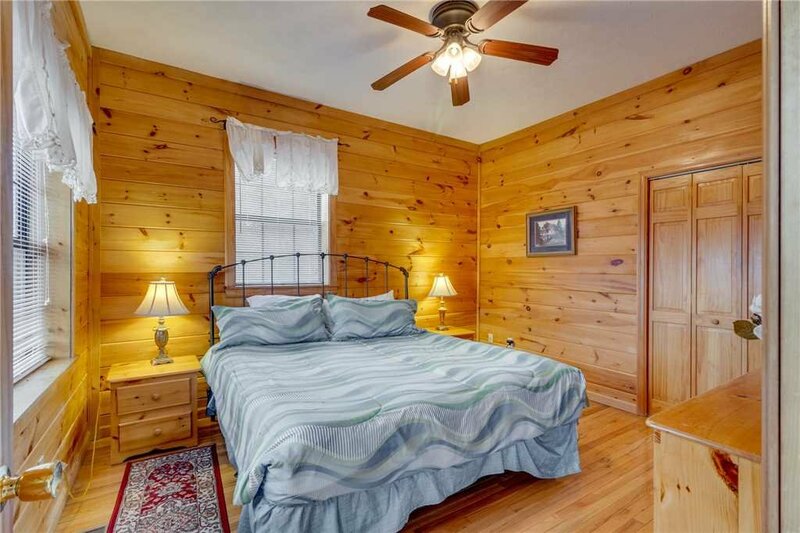 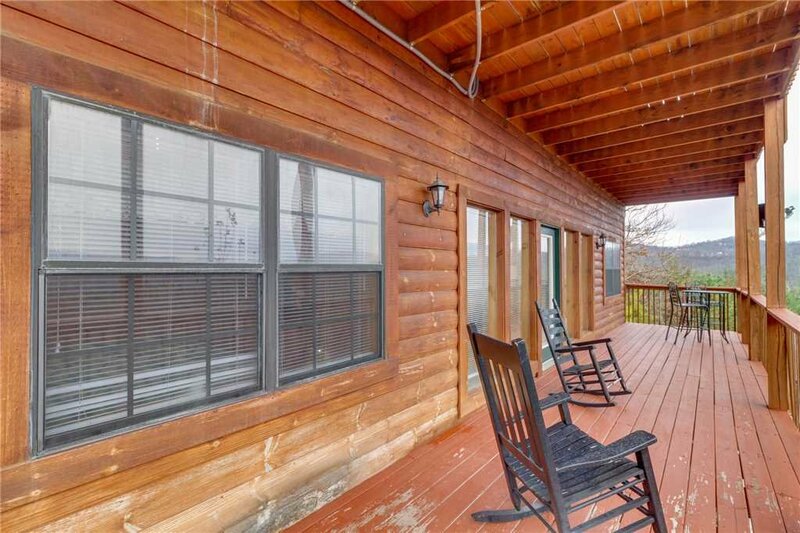 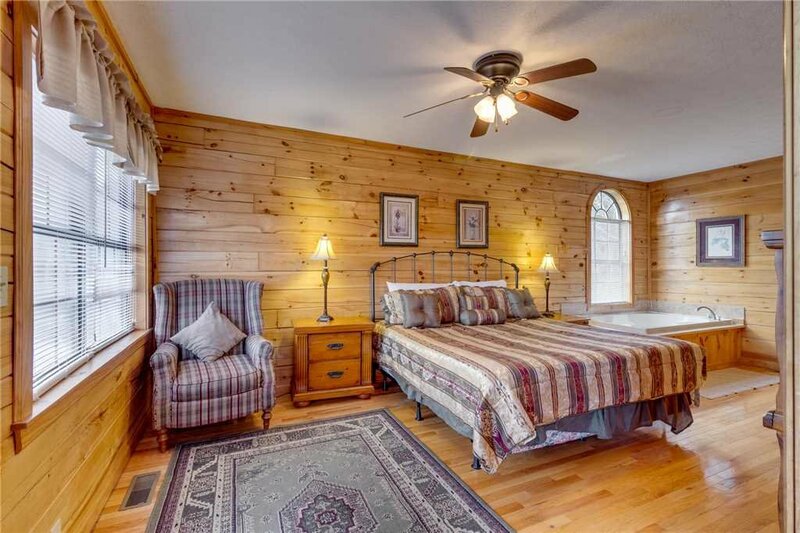 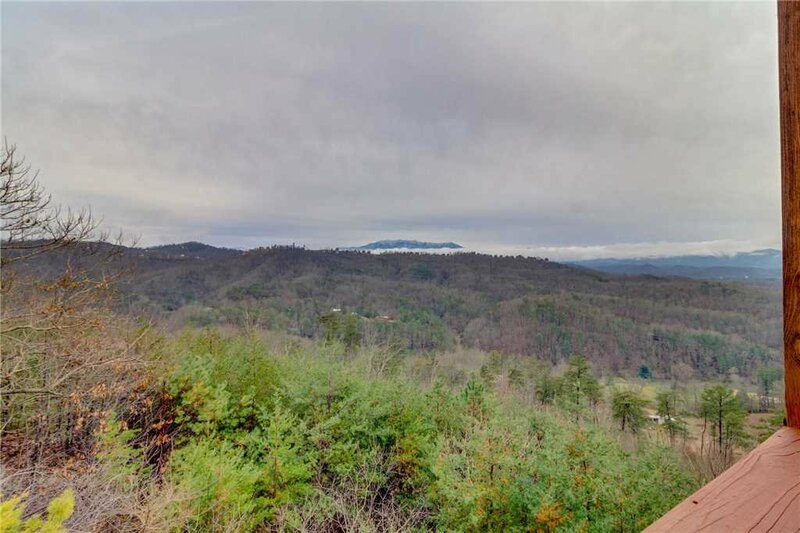 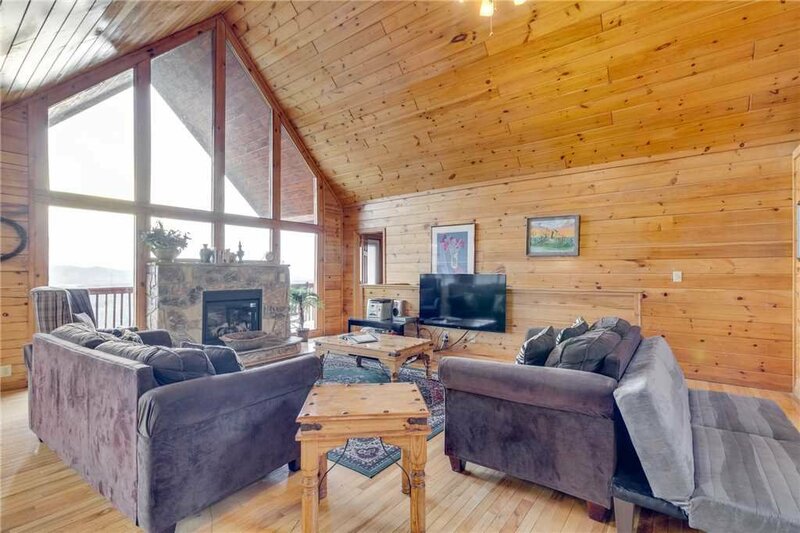 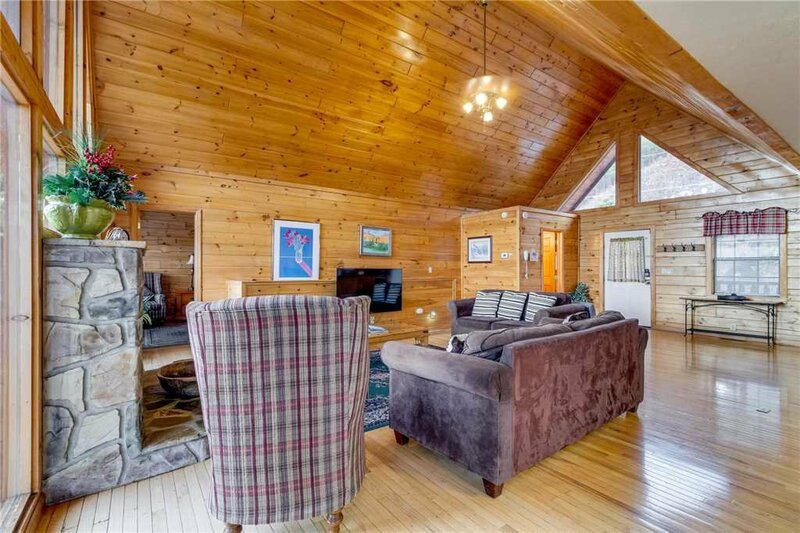 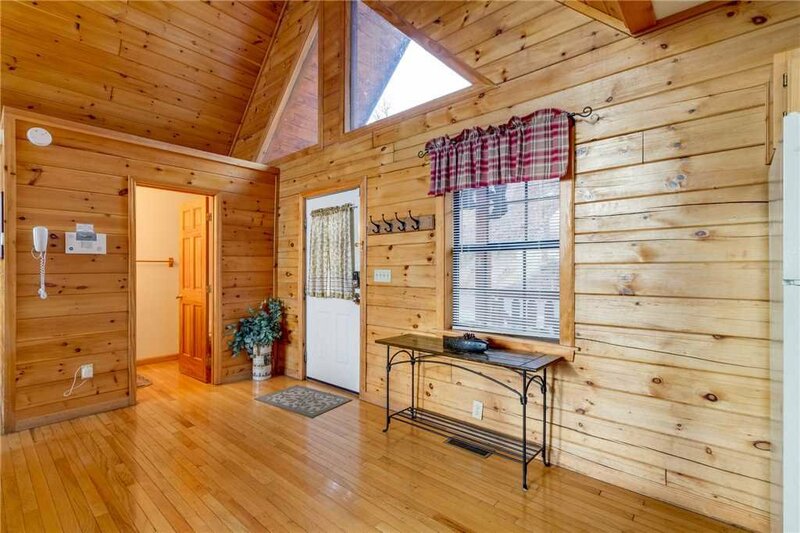 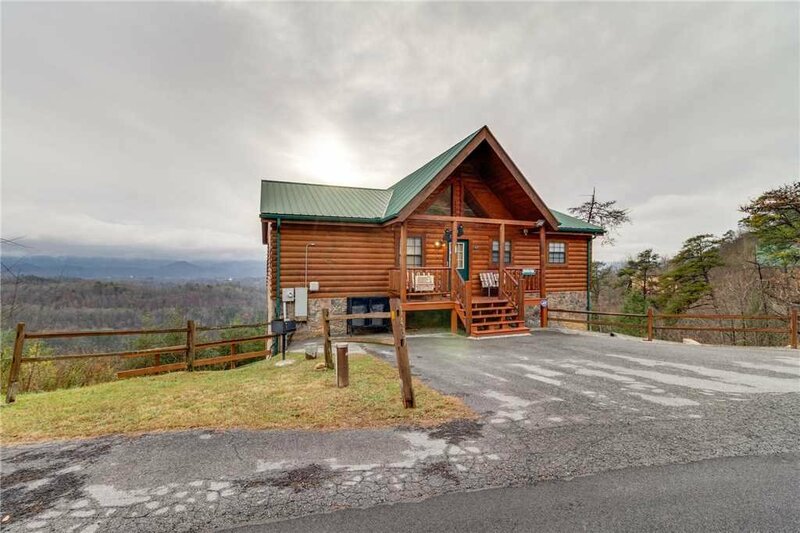 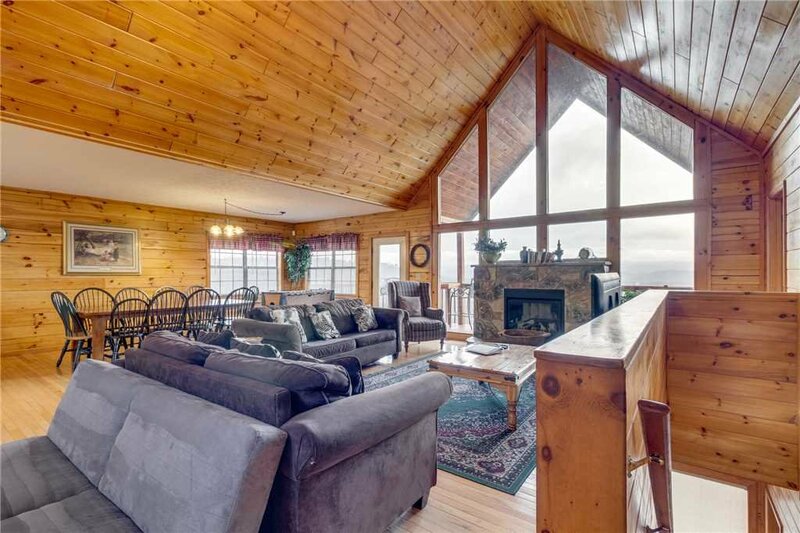 This cabin features two master bed suites. 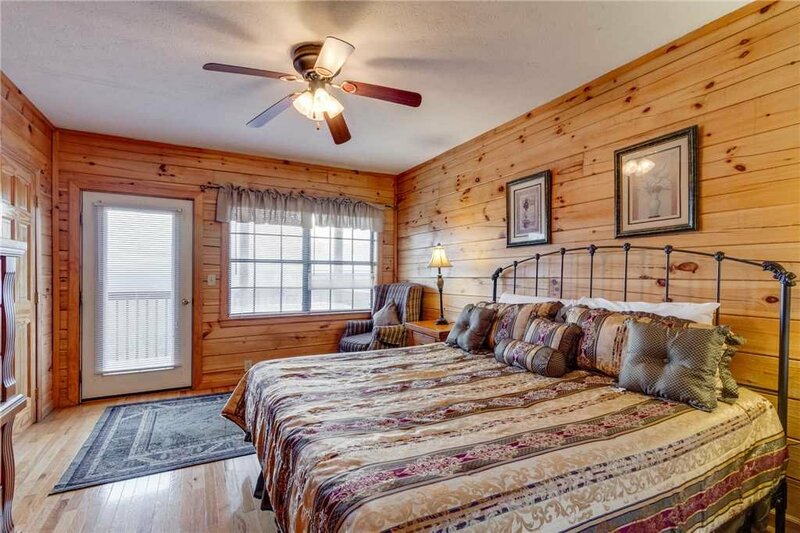 One master suite is located on the main level and the other master suite is located on the second level. 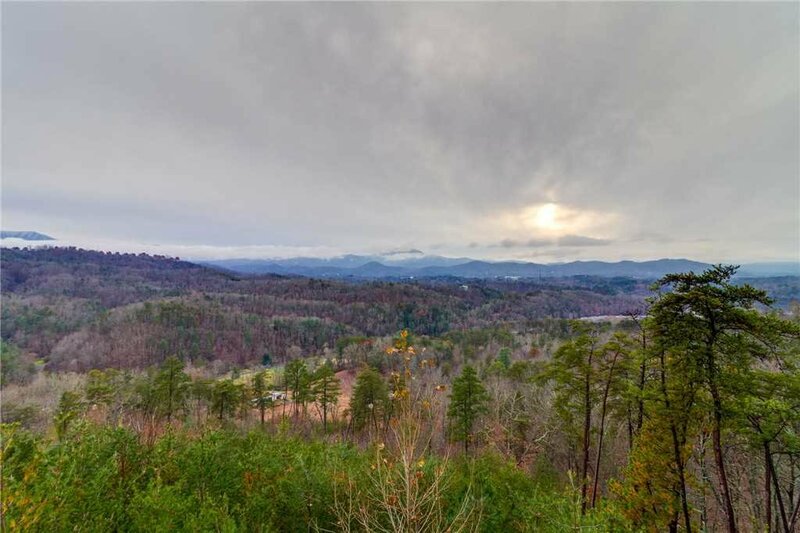 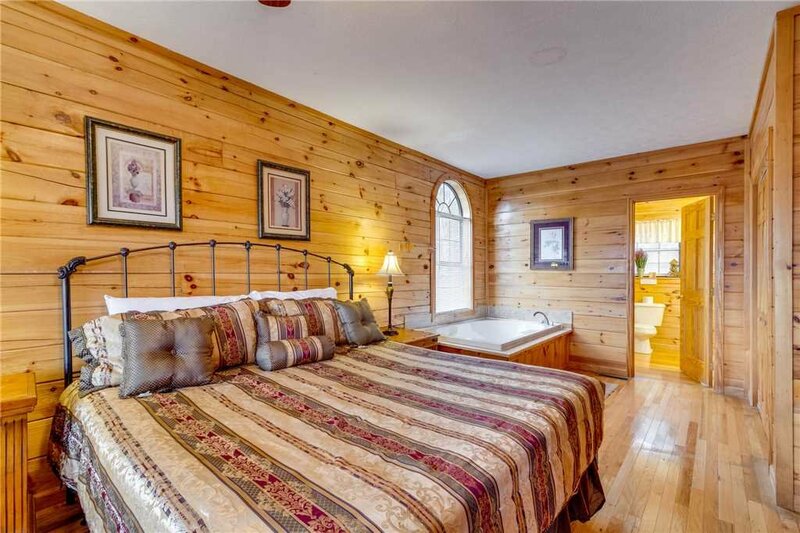 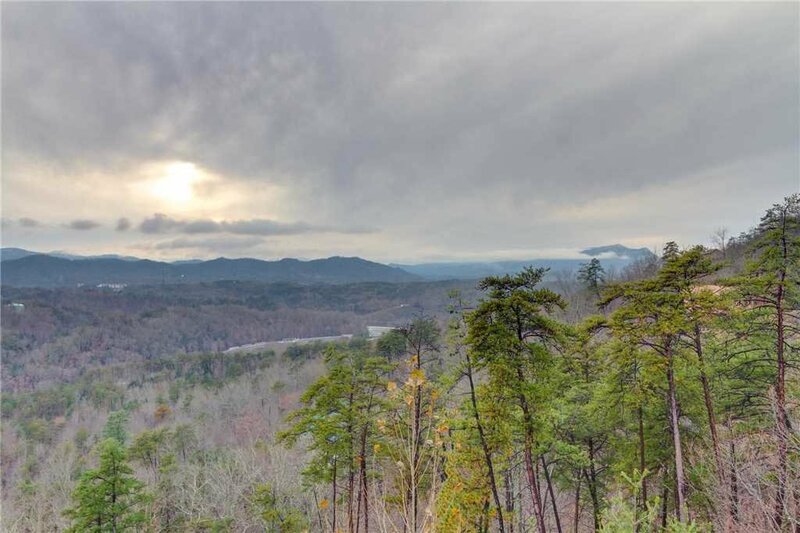 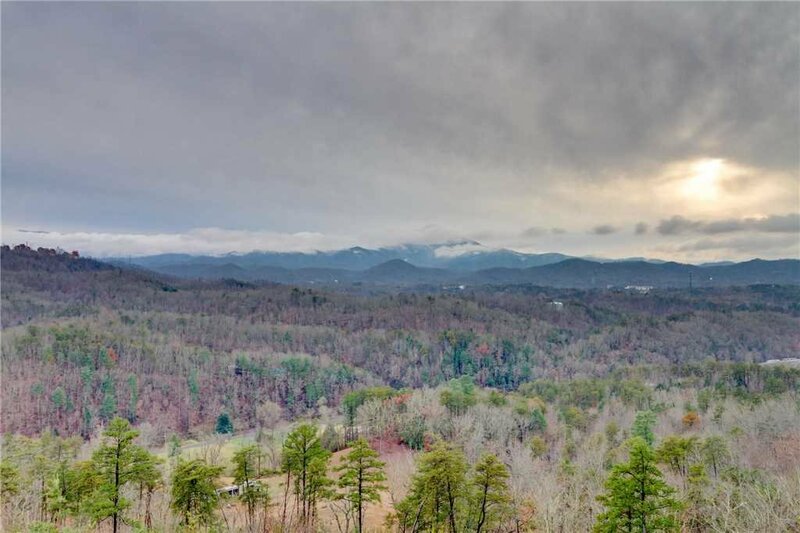 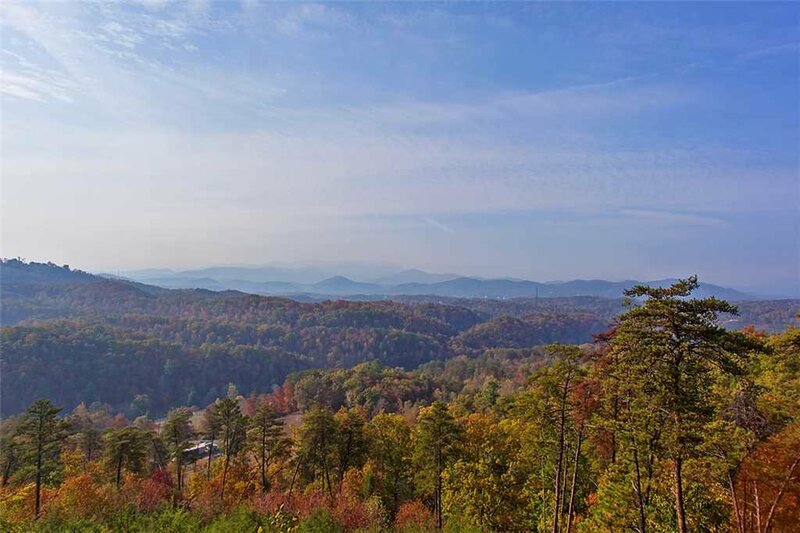 Both master suites are furnished with a king size bed, 27 inch TV with a DVD player, upscale bedding, a dresser with mirror, and feature double closets and a beautiful Jacuzzi. 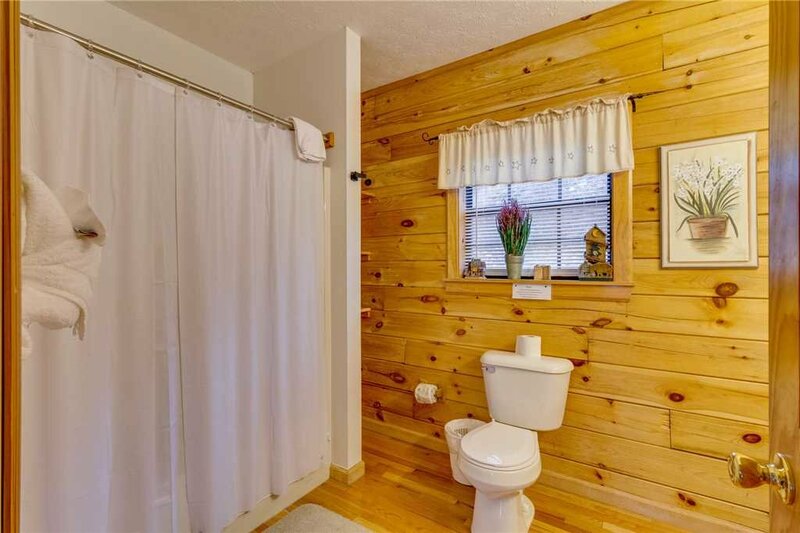 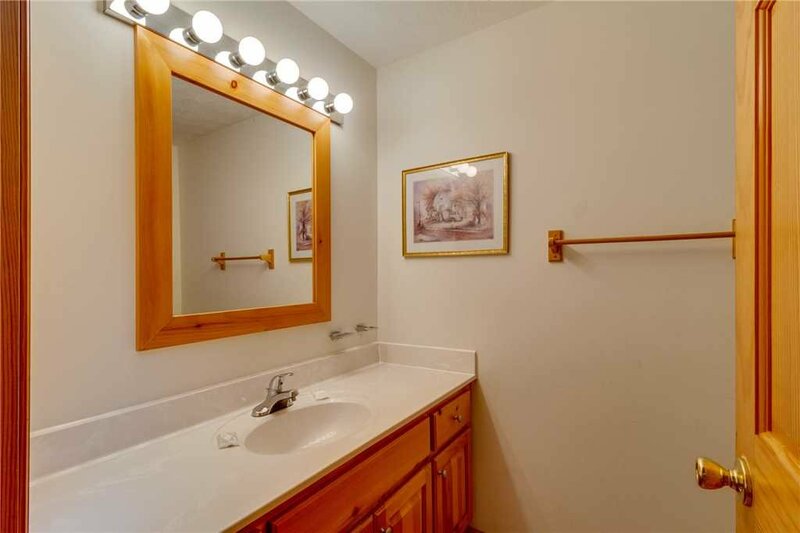 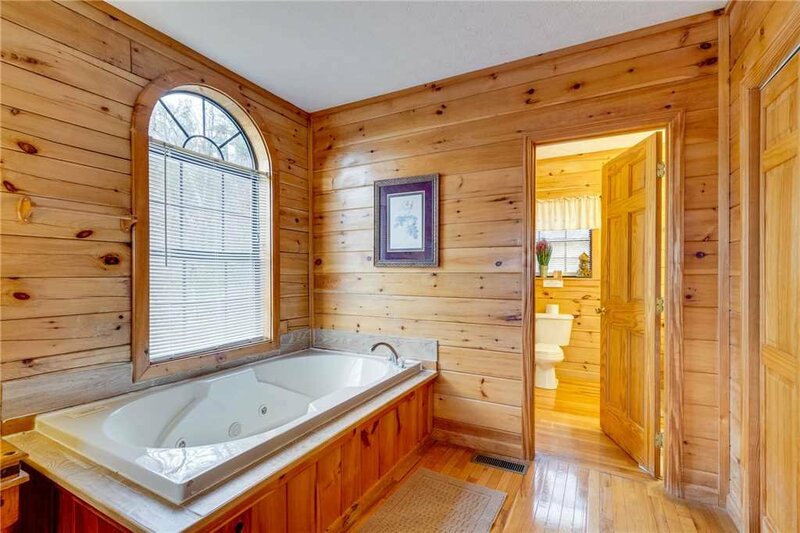 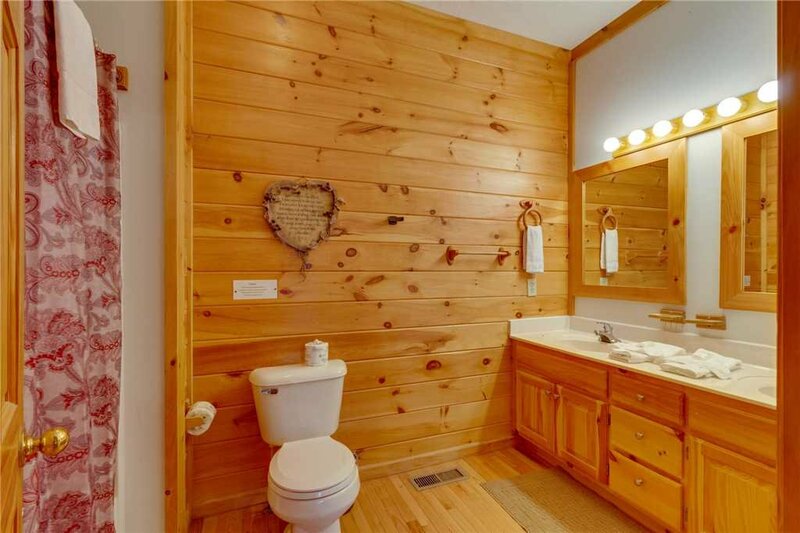 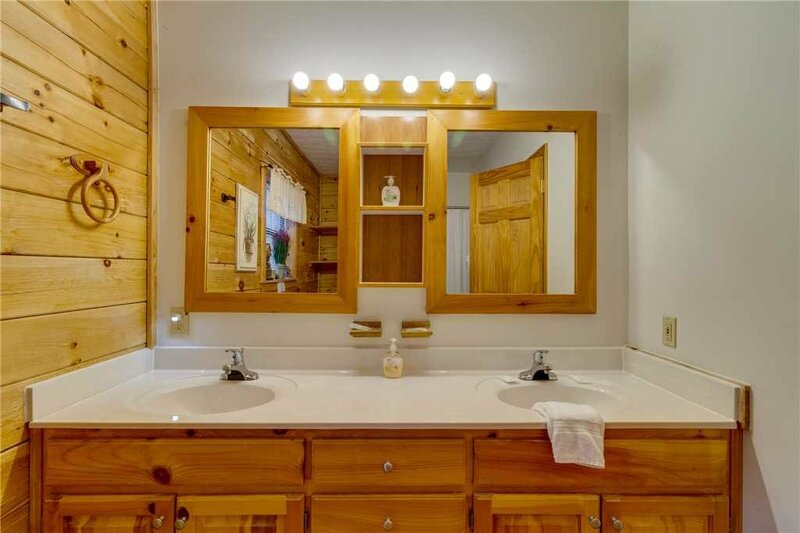 The adjoining bathroom has a shower- tub combination as well as double vanities. 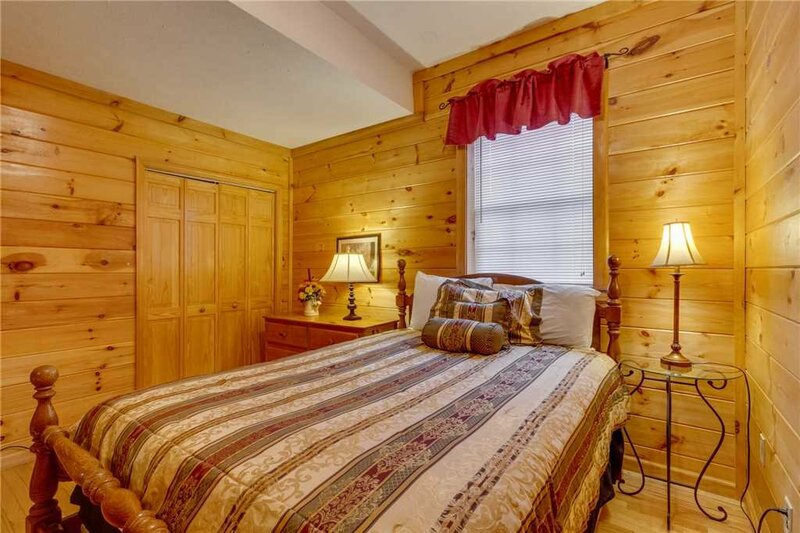 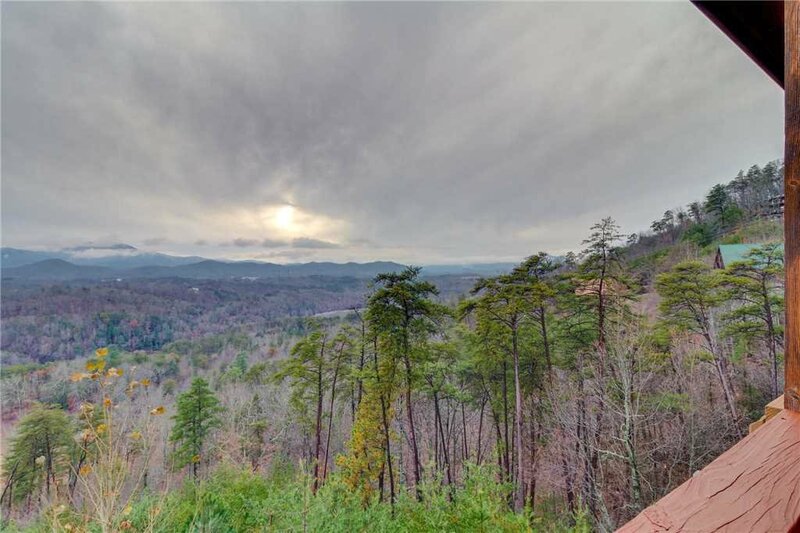 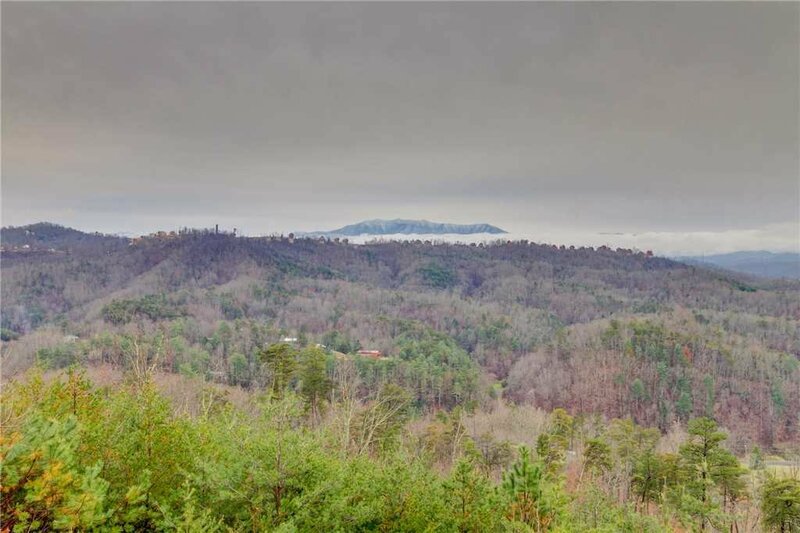 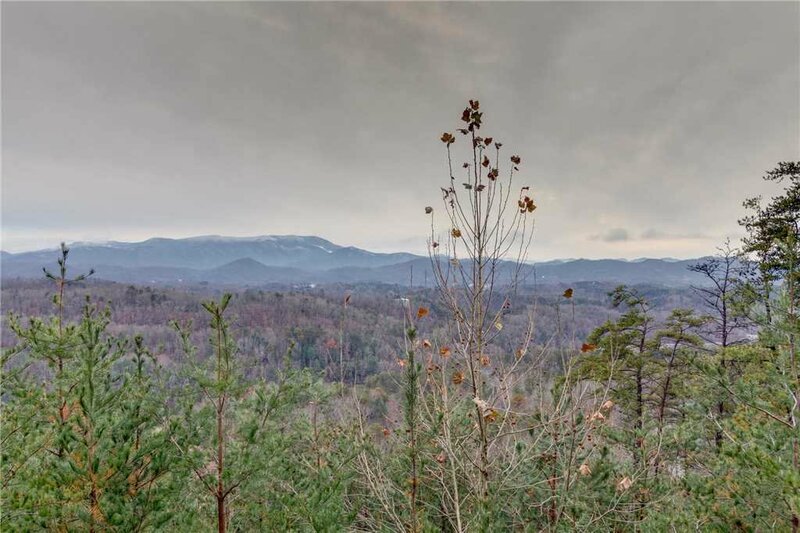 There are two bedrooms on the lower level; one is furnished with a king size bed, 27 inch TV with DVD player. 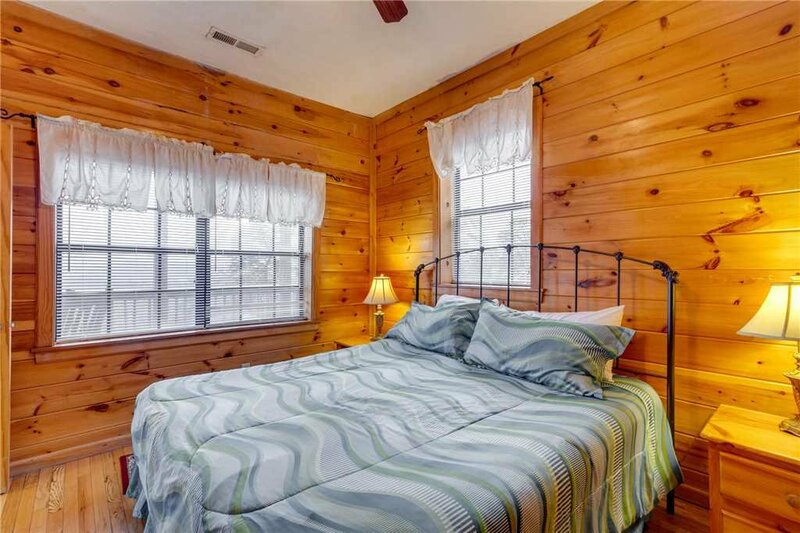 The other bedroom that adjoins the game room is furnished with a queen size bed with a 19 inch TV and DVD player. 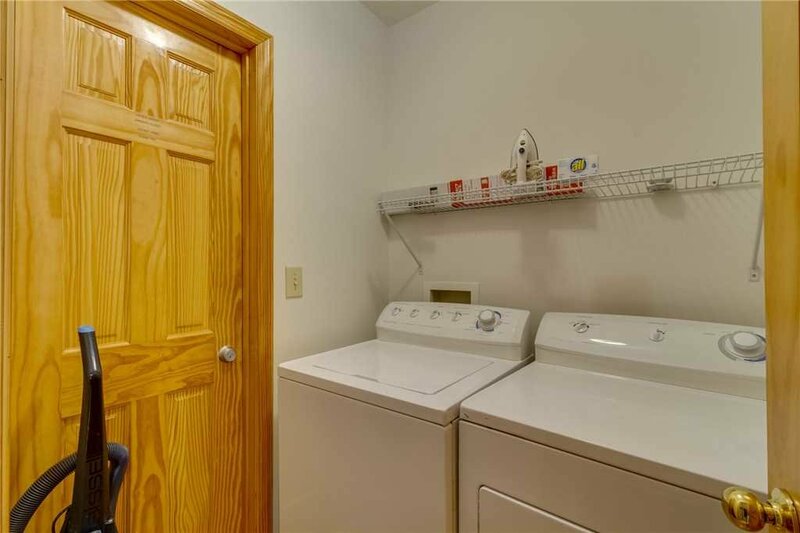 The bedrooms have access to a full bathroom and laundry room. 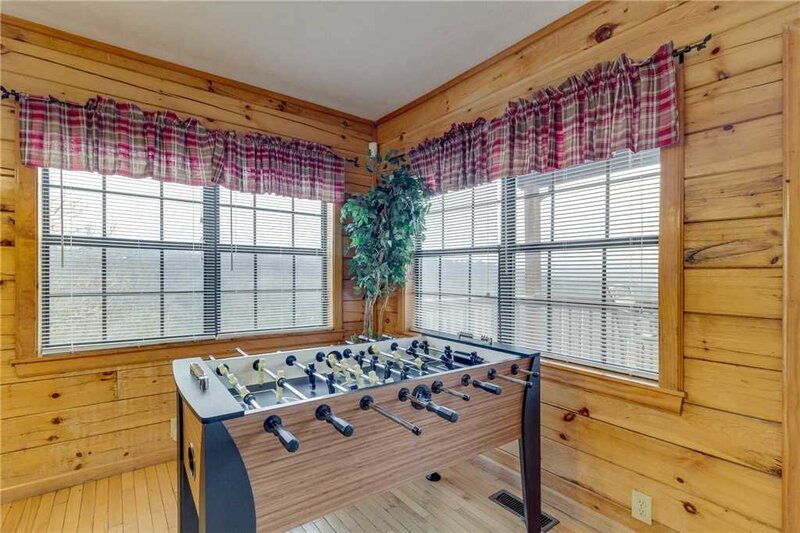 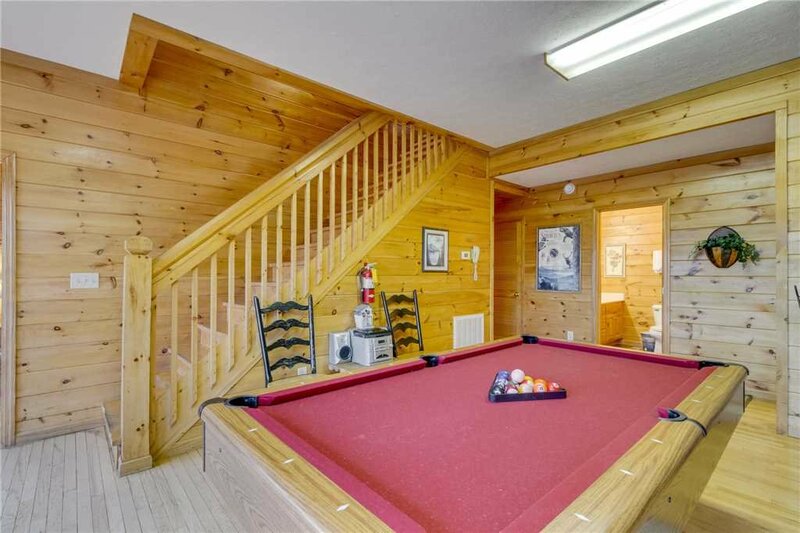 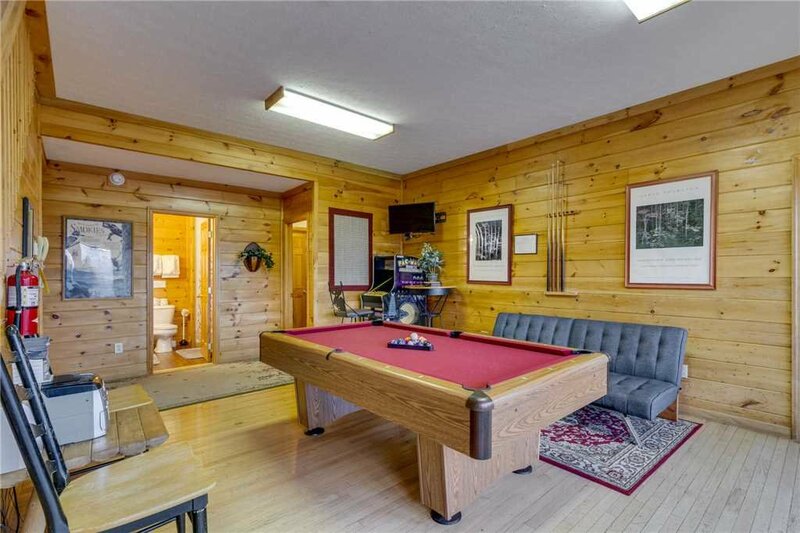 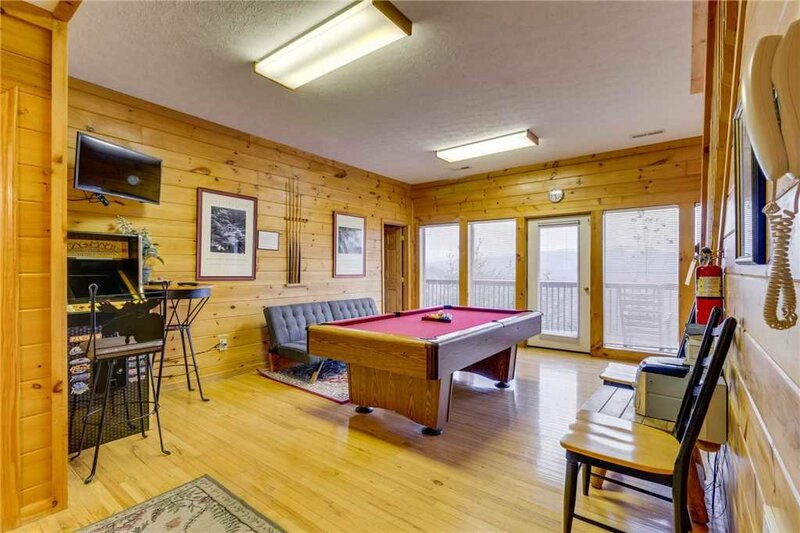 The game room features a pool table, dartboard, 27 inch TV, DVD player, stereo CD player and a pub table for your enjoyment. 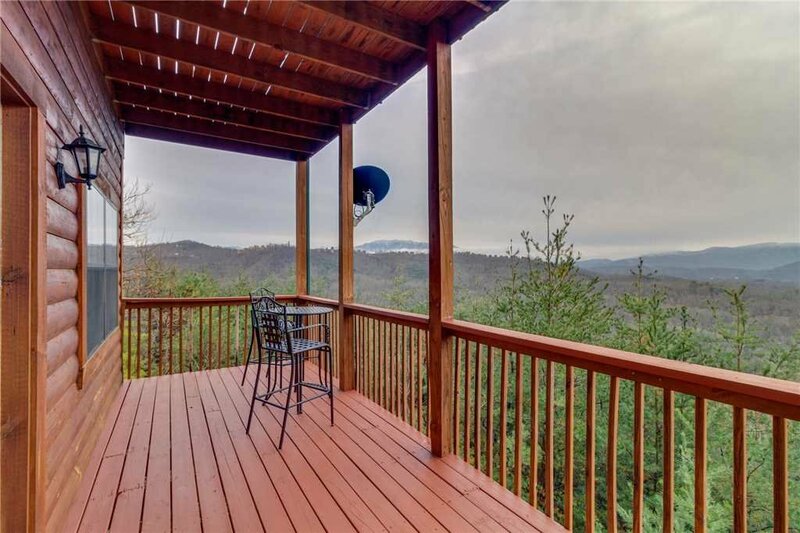 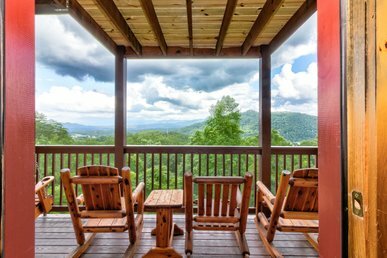 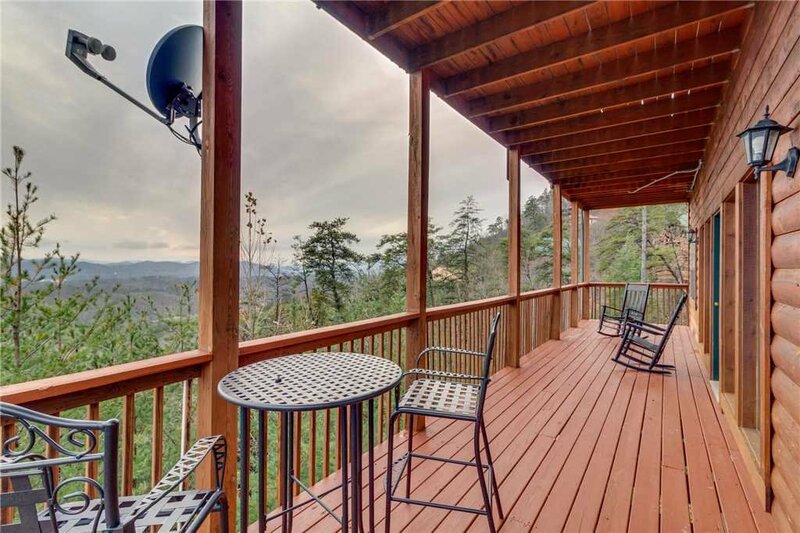 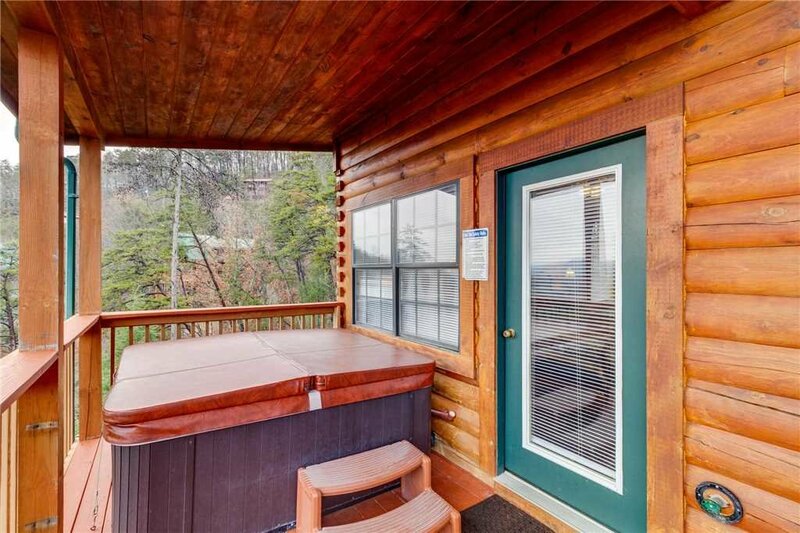 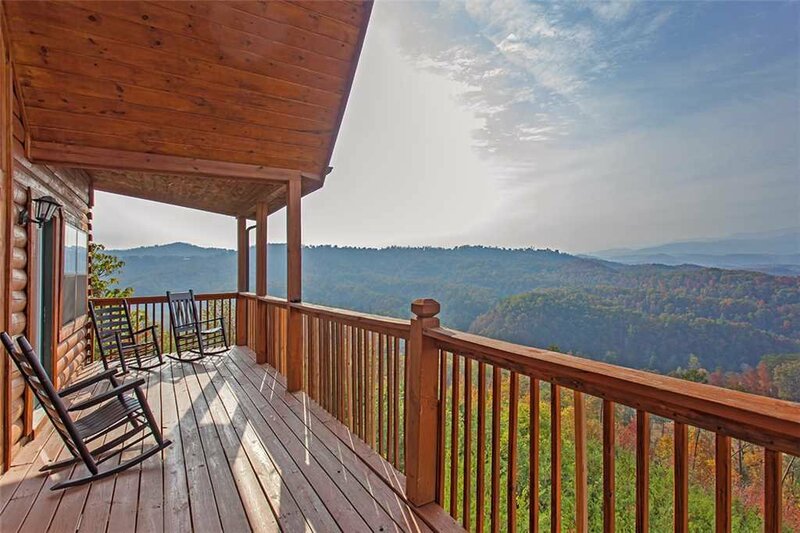 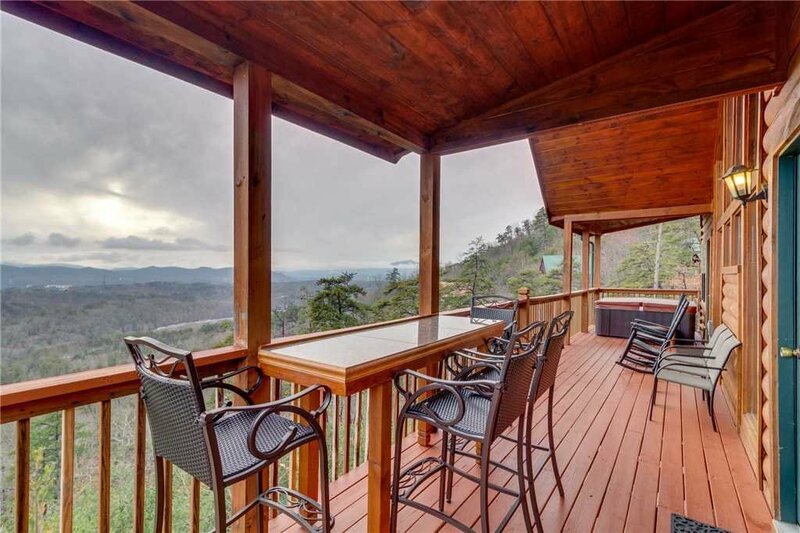 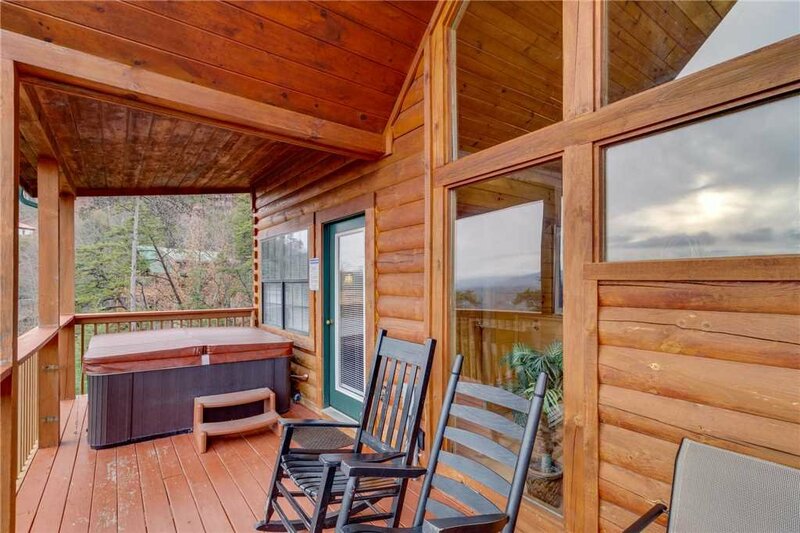 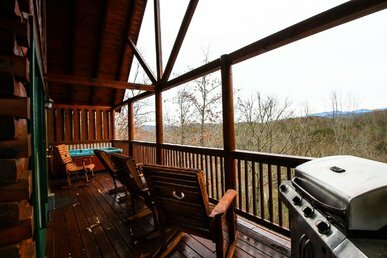 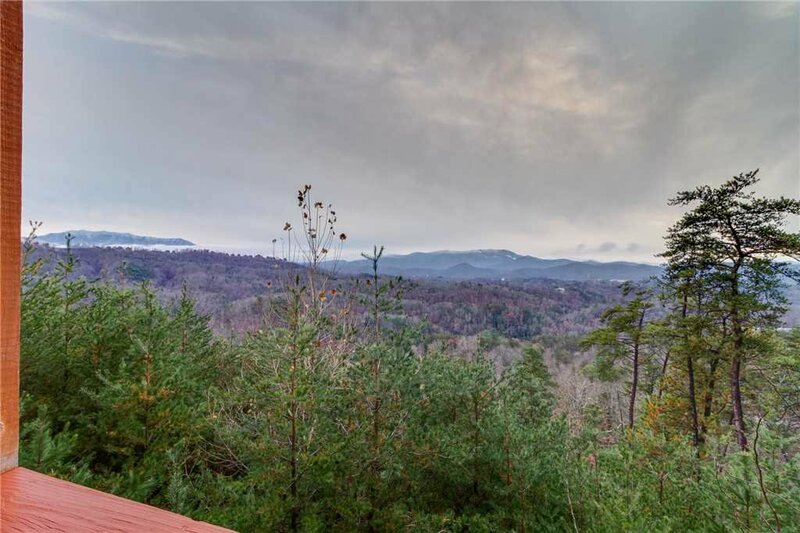 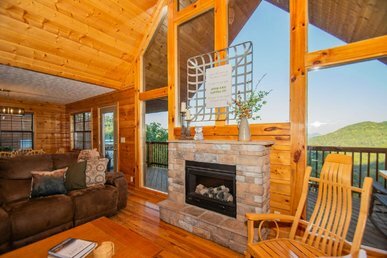 Retire onto the deck for relaxation in the bubbly Hot Tub or just rock the evening away on the deck rockers and enjoy the view.